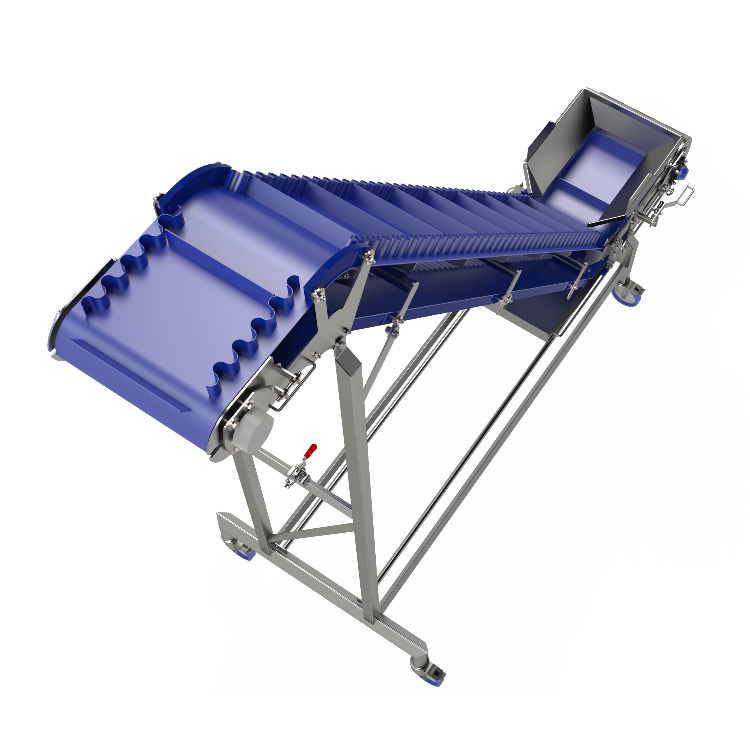 An easy-to-clean belt conveyor? We can prove that it’s possible! 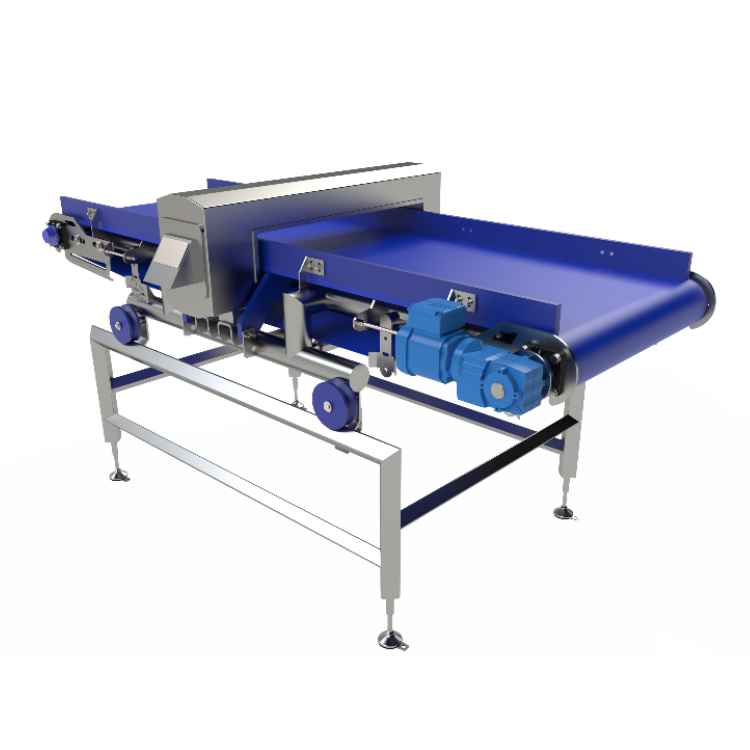 Belt conveyors are used extensively in today’s food processing industry, especially when there is a need to span a larger distance and/or a height difference. 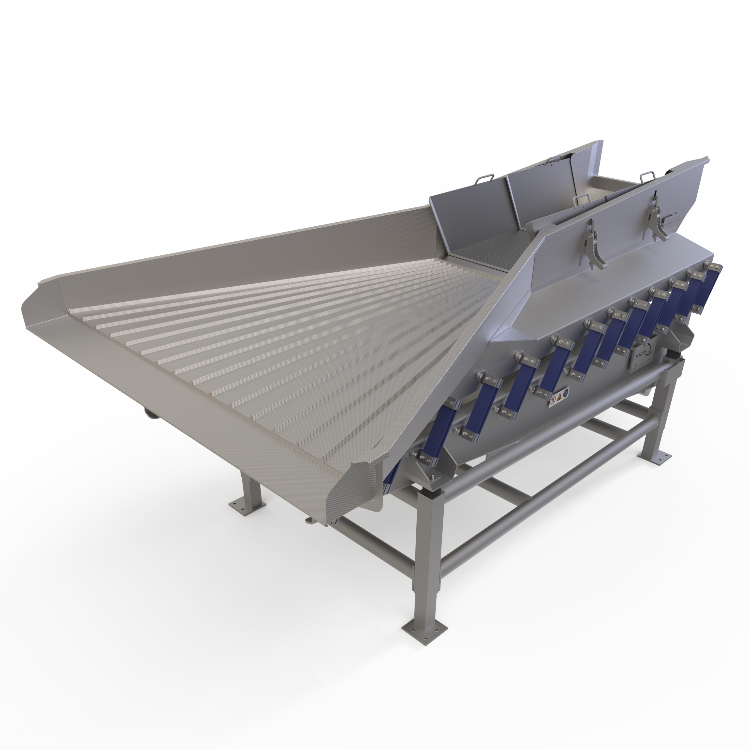 FoodeQ also frequently uses conveyor belt technology in client projects, often in combination with vibratory conveyors and other units. 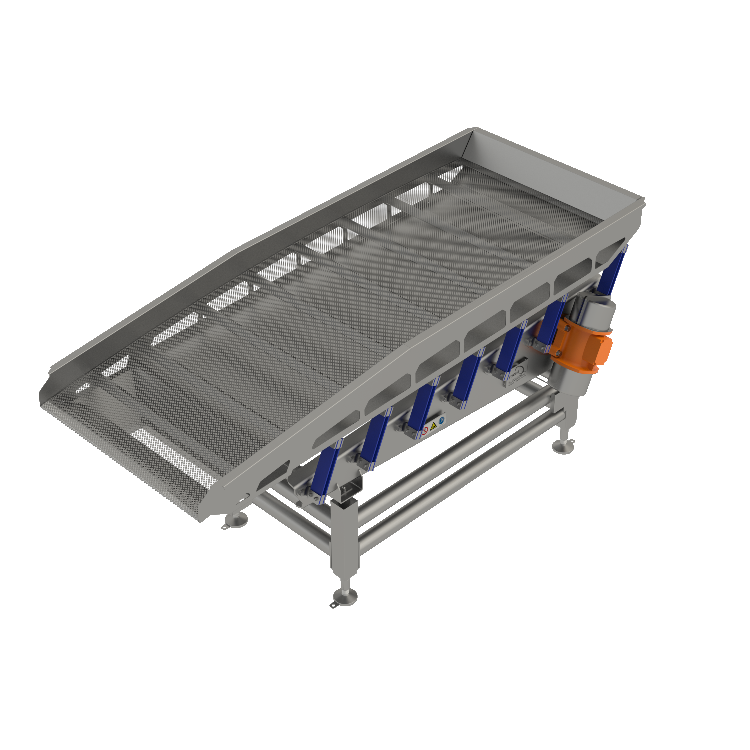 For every part of the production line, we carefully consider what will be the best and most logical solution. 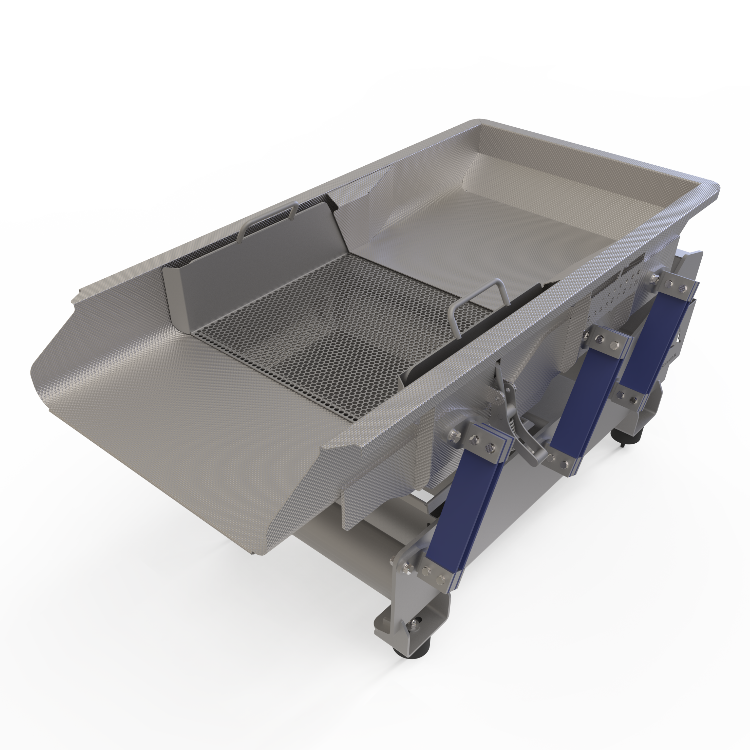 What sets FoodeQ apart, is that for many years we have designed our conveyor belt equipment to ease the difficult task of cleaning the entire conveyor. 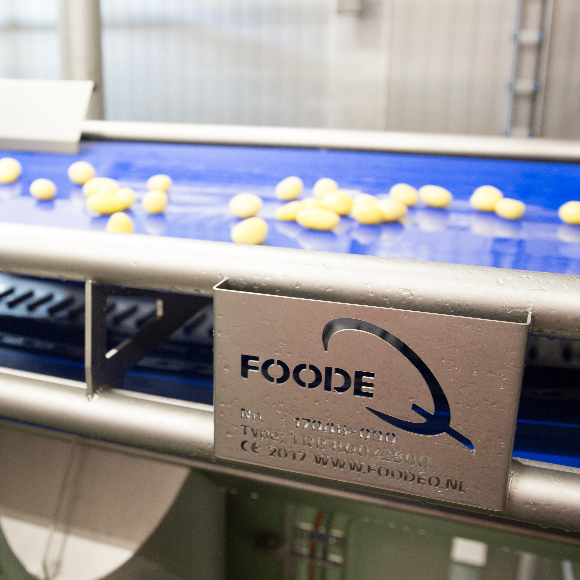 In this way we ensure that the entire conveyor always fully complies with stringent international standards for food safety and hygiene. The prime mover is either a motor-gearbox set or a drum motor. For compliance with hygiene requirements, the frame is an open stainless steel structure, which can be adapted to customer requirements. 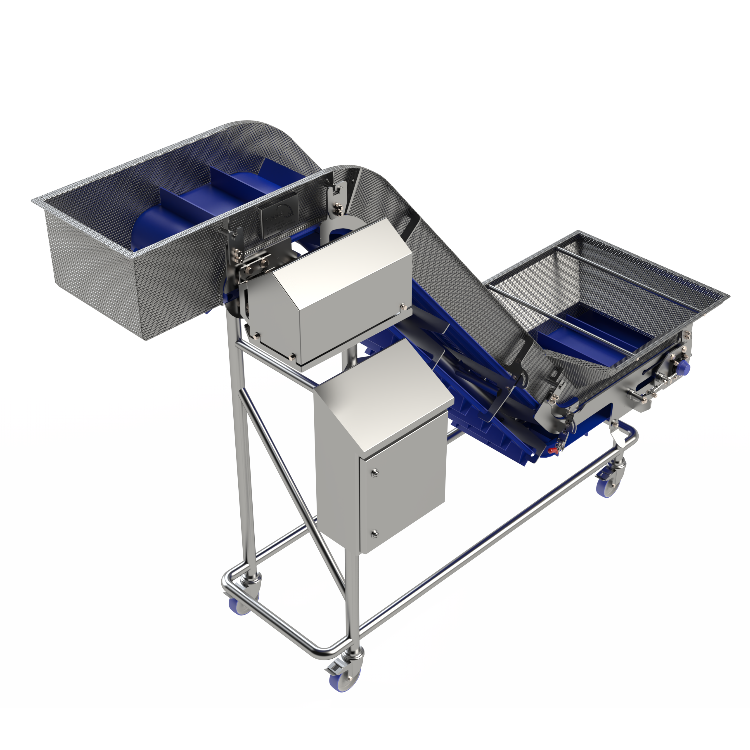 The conveyor can optionally be equipped with a quick tensioning system for easy cleaning and fast belt exchange. Reliability and availability are high priorities. 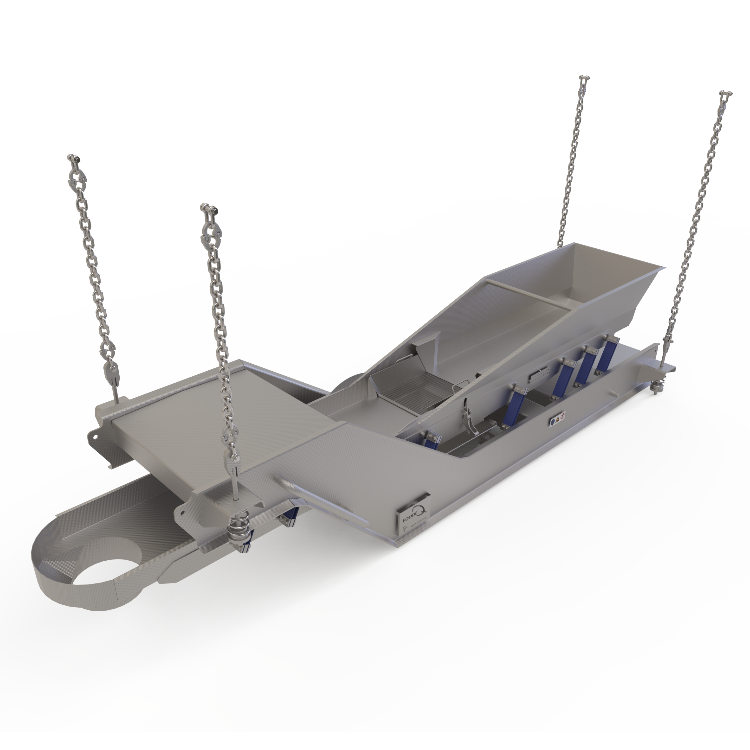 Thanks to the materials used, our belt transport solutions have a long service life, and many different types of product can be conveyed. 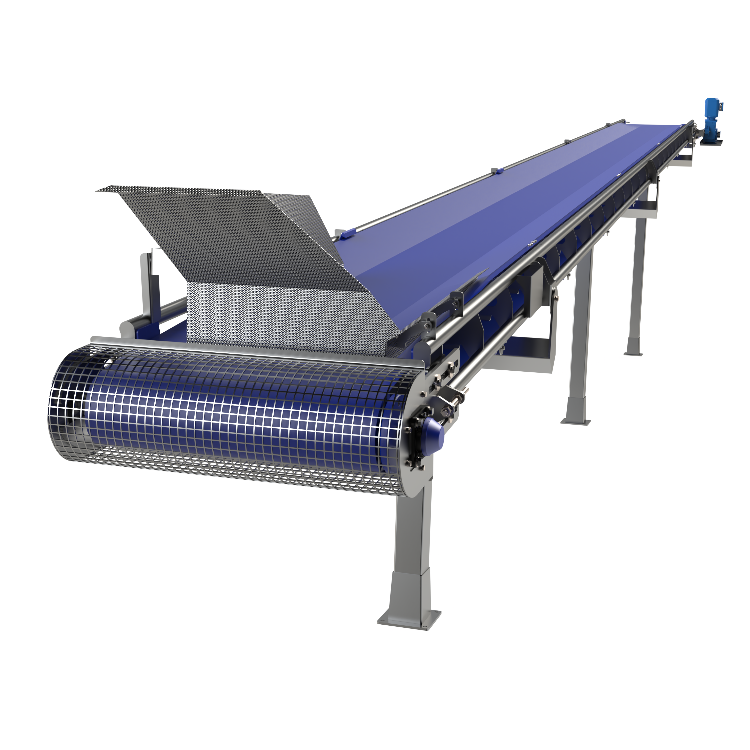 Our conveyor belts are produced from non-porous materials that resist the adhesion of product residues, they are easy to clean, and moreover, they are suitable for conveying products of different temperature classes. The exact choice of belt depends on the specific product and temperature. 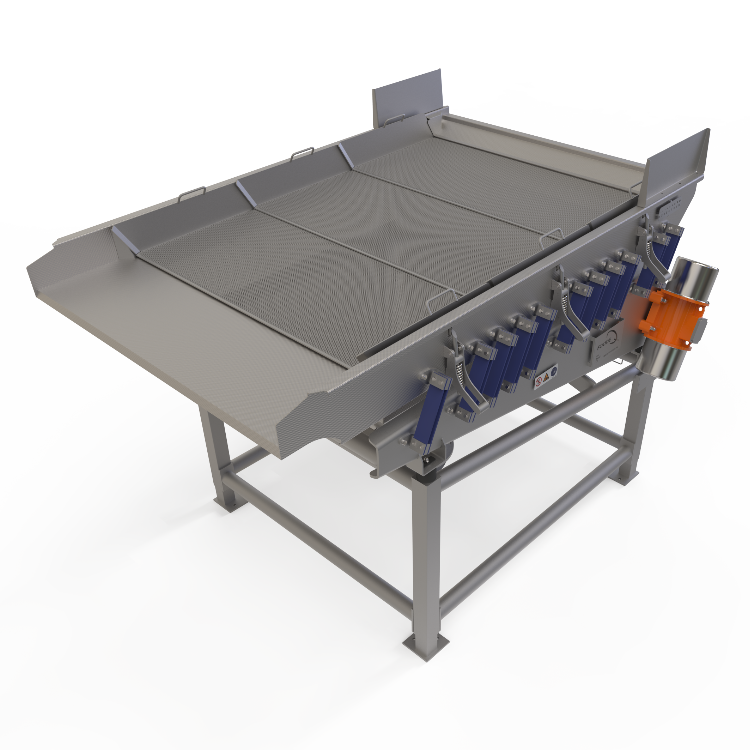 Having conducted extensive testing for bacterial development, both during production and after cleaning, FoodeQ has acquired the necessary expertise to be able to recommend the right belt for your application. 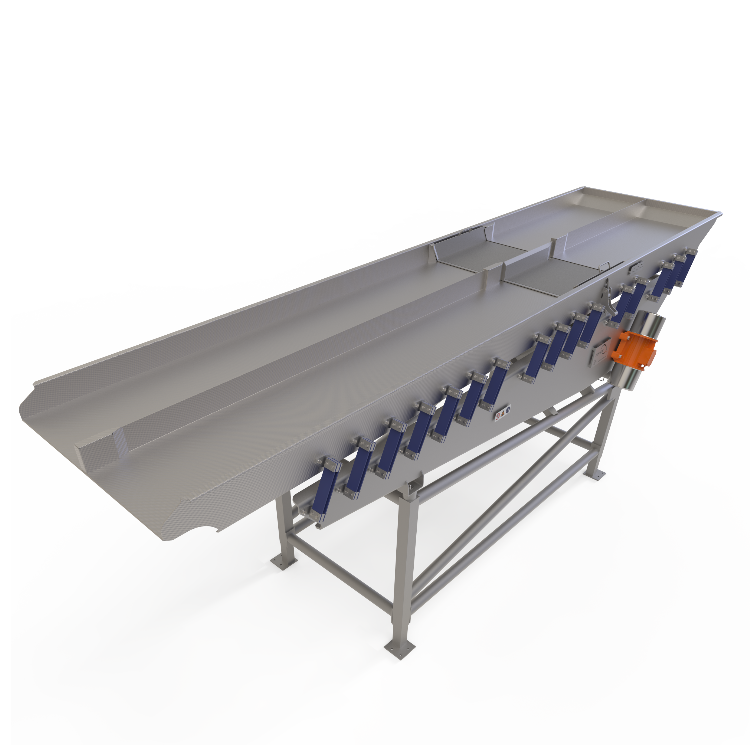 For more information about belt conveyors from FoodeQ, please click on the variants below. Of course we would also be pleased to visit you in person and explain how we can add value to your production line, so please call for an appointment. 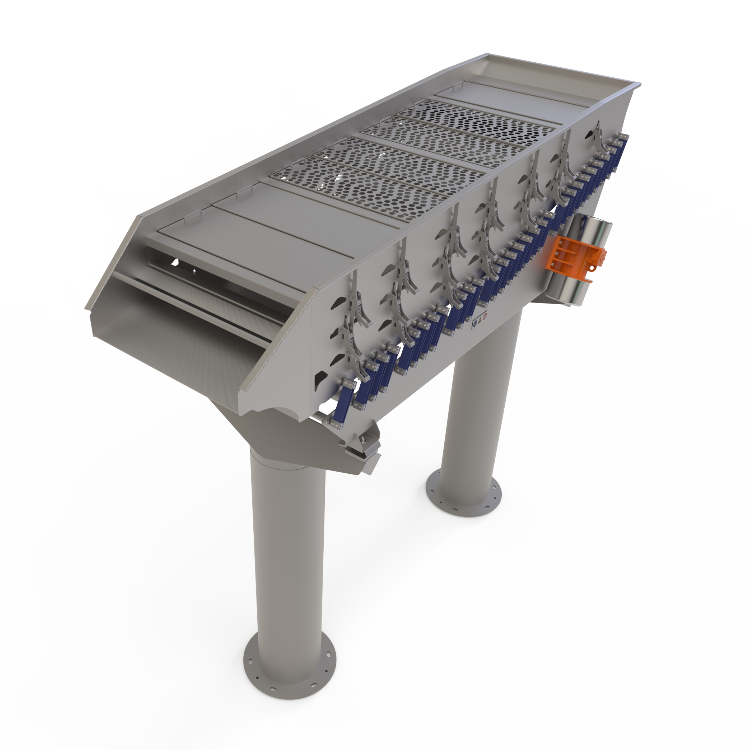 Further details about belt conveyors?We would love to help you!